Link-building service we Offer is high quality, relevant & authoritative links. Link-building that works. Back Links are validation of the Site. Since SEO plays a major role in your ranking and web presence, links play a vital role for effective SEO & high visibility of the site. A linking strategy for SEO, should include a comprehensive link building plan for targeting in-bound & out-bound link. The “in-bound” links should be from authoritative and respected sources that are relevant to your content and brand. Search Engines crawl the web by following links both between external and within internal websites. These in-bound Links viewed as recommendations and validation for the content of the site. Respected sources can be news sites, blogs and social media pages of relevant industry leaders. 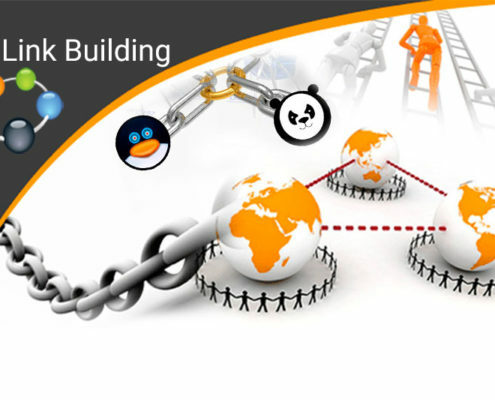 Although link building may sounds simple, it is extremely tedious and time consuming. Links, as much as they can be useful and contribute drastically to the ranking of the site, they can also hurt the site ranking. A negative evaluation of one or two link / links can move down a site or page from page one to page 6 or lower in search result pages. This is due to the method that search engines; specifically Google evaluates and measures the value of a link. In order to implement an effective link strategy, you must understand your target audience, prior to developing link strategy. In addition links must be build naturally with slow paste at the beginning for an effective link portfolio. Let us take over your link building campaign & help you to develop the most vital part of your SEO. Our Link building service starts with creative and traditional link building scheme, social media, content distribution, directory linking in order to increase your Online visibility and presence.